It seems February has been my month of returning to old loves. Earlier this month, I went horse back riding for the first time in over four years. Yesterday, I went snow boarding with my husband and best friend for the first time in five years. There is nothing quite like being on top of the mountain, surrounded by jagged peaks and sifted snow, to remind you of God’s handy work. Wind whipped and swirled snow until we could barely see the chairs in front of us on the lift. I was so in the moment, I didn’t get a single picture. And that’s part of the reason I enjoyed myself so much. I was in the moment. I hope you take the time to live fully in the moment today. It’s something we all need to do just a little more often. Today’s featured post is from Taylor Made Ranch and her Dual Purpose Edible Landscaping. I’m incorporating more of this at our home. We already have a large vegetable garden, blueberries, raspberries, a beginning orchard with six young fruit trees, and blackberries that grow wildly and can be quite invasive in the brush and fields, but I’d like to add more edibles among our flowers. 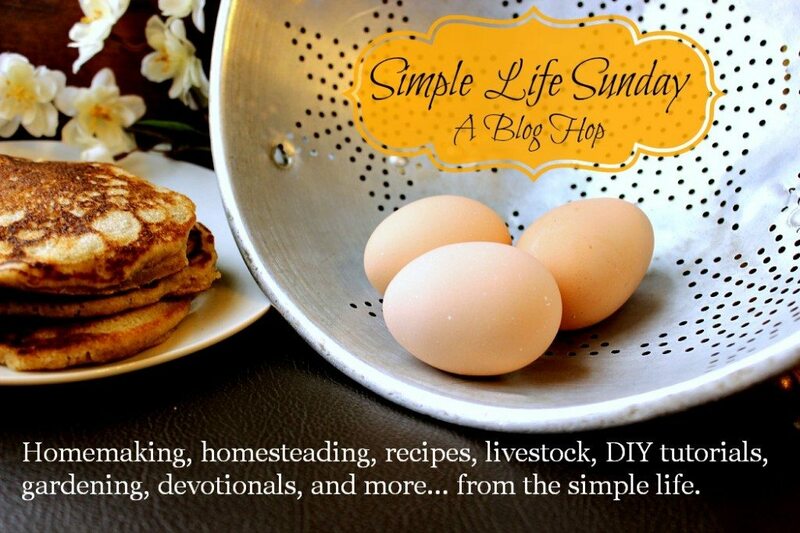 Now for this week’s Simple Life Sunday Blog Hop. Kick back, put your feet up, and enjoy all of this week’s great articles. I’d love to hear which is your favorite! Previous Post Chocolate Beet Cake (Gluten & Dairy Free Options) Next Post Grow Basil Indoors Without Dirt All Winter!